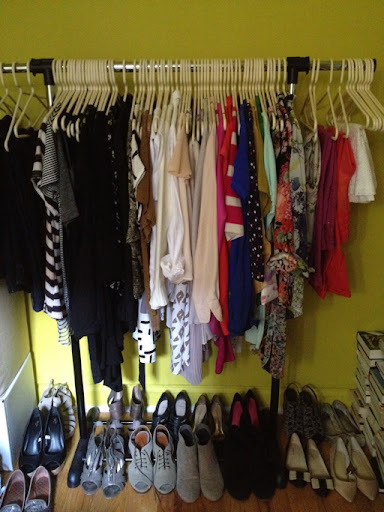 I went to New York a few days earlier than my husband to get a head start on my shopping! Fortunately, I was able to stay at my dear friend's apartment. She has the best taste and her style is unmatched. I wish she lived closer to decorate my apartment! Anyways, I feel so grateful that I was able to stay here. Upon entering the apartment, you are greeted by a chalkboard wall which I absolutely love! 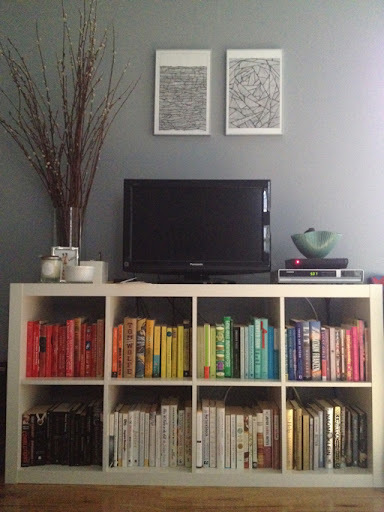 I am obsessed with this book shelf and the color coordinated books. 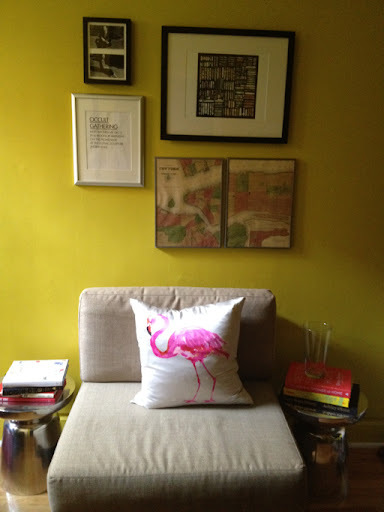 It adds the perfect pop of color to the room. 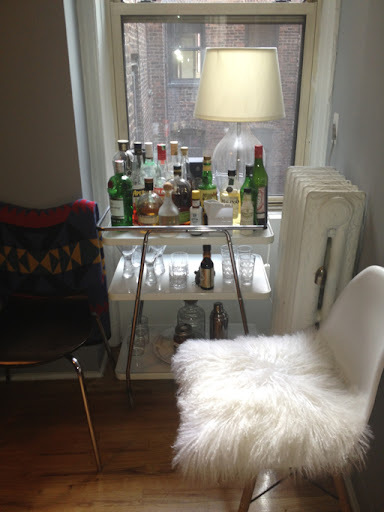 No living room is complete without a vintage bar cart. 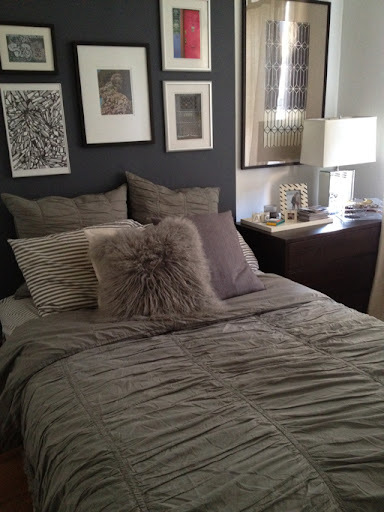 The bedroom may be small but it is designed beautifully! Every girl wants their own dressing room and look at how cute my friend made hers with her very own sitting/study area. Every detail was thought out in this apartment which is why I had to show you these pictures!